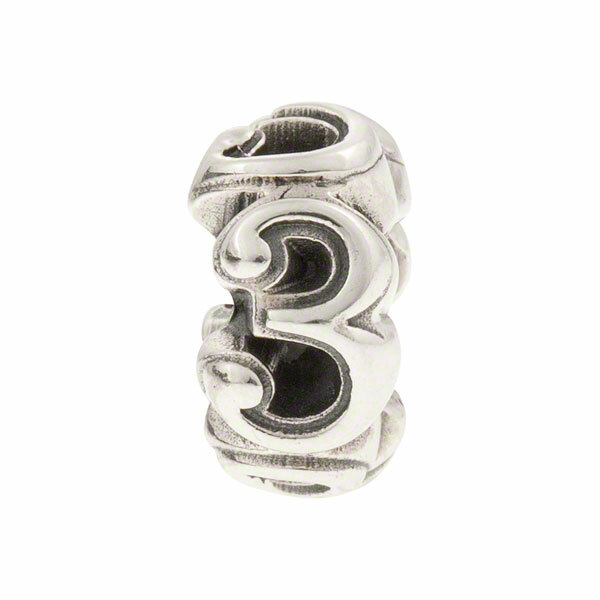 Personalize your bracelet this intricately detailed sterling silver number "3" charm bead. Each of our unique and eye-catching numbers charms replicates its distinct number four times around the bead to allow it to be read easily. The threaded core allows for compatibility with PerlaVita bracelets and necklaces as well as most other popular brands such as Pandora and Chamilia. Approximately 9.75mm x 5.25mm x 9.75mm.